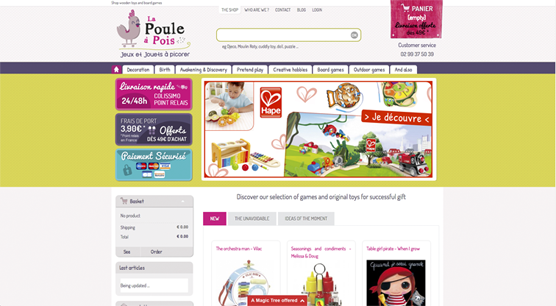 Very close to Rennes, in French Brittany is where La Poule à Pois is located, a store dedicated to the sale of toys for children between 0 and 12 years. Thanks to its spirit of improvement and their dedication to putting the customer at the centre of their business, this toy store has been growing and increasing the number of consumers who trust in it when choosing the best gifts that excite the youngest. Do you want to know more about their beginnings and their experience in the world of e-commerce? In this interview they tell you everything.